Please send me your pictures and descriptions of events so I can add them to this page - These are your pages.. please use them! Well, tis the season and so, the last outing for the year has come and gone and now we count down the sleeps till Santa comes squeezing down our chimney or through the window we have left open just that little bit for him. 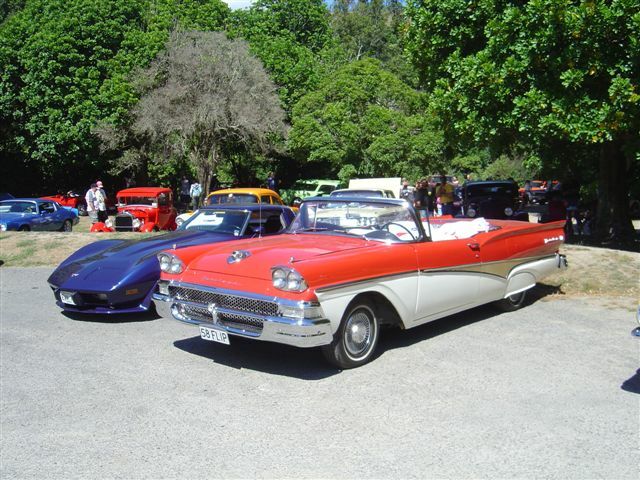 30-plus cars and their occupants made their way from all directions to Orlando Country outside Marton for a great afternoon of good tucker, good company and of course a visit with Santa. 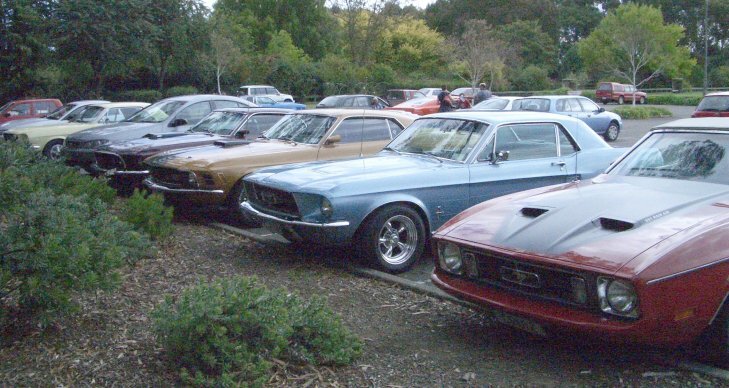 There were a couple of new additions to our ever-growing Mustang family of cars that we’d not seen before and so time was needed to admire the line-ups in the carpark. The day was a muggy one and the heavens did open later in the afternoon and rained a little but that didn’t dampen the festive spirit. I don’t think any of us had been to Orlando Country before, so the first hour was spent mingling and taking a look around the premises and what it had to offer. 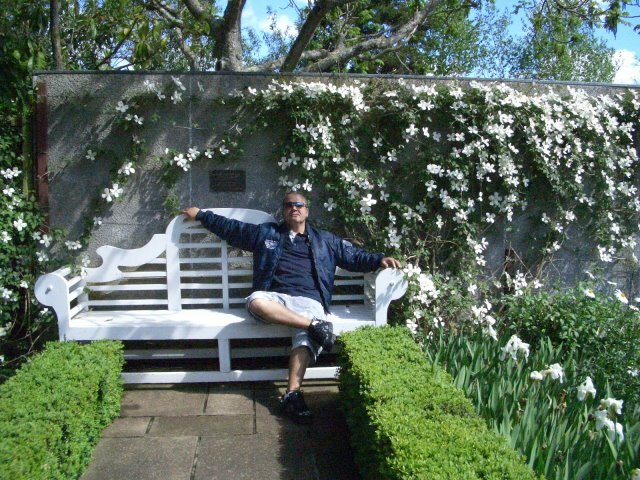 A fantastic place, with fabulous views, as you can see in the photos. 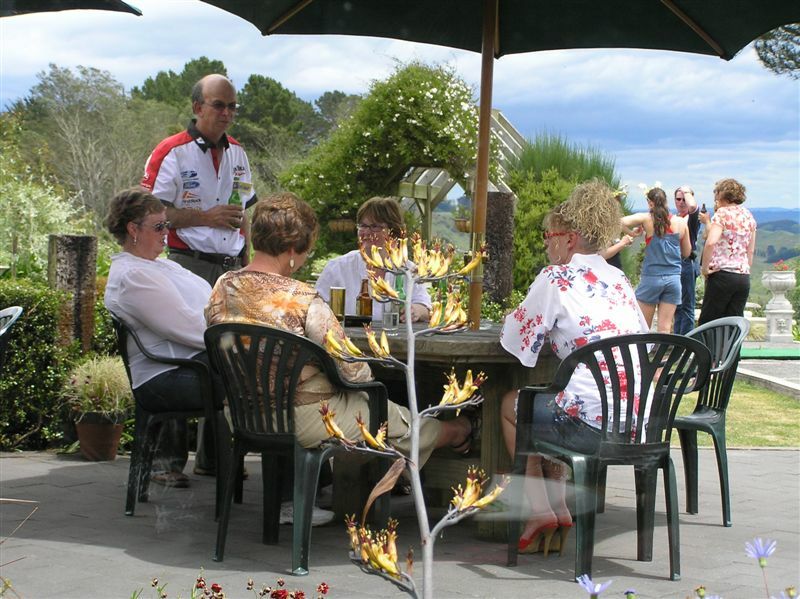 They cater for all occasions and for us it was all about good food and good times. Lunch was served to our tables and congratulations to Orlando Country on the service and the spread - no one went hungry and guess what, there was enough pav to go around, yeeha! After lunch Santa made his way in for a special early visit, and had a little something for all. 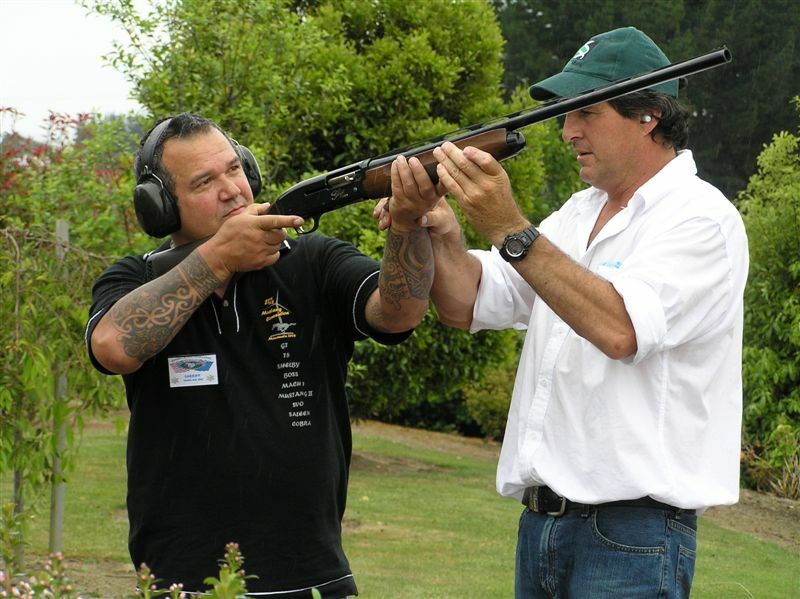 Then for those not too bothered about getting a little damp, there was some Clay Shooting to be done. 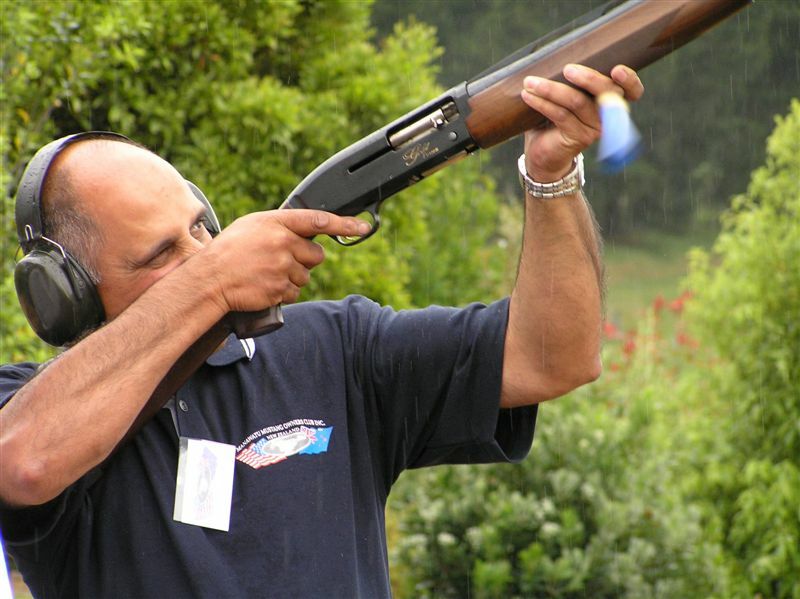 A few good men had a go, some better at shooting than others but all good fun. Where has the year gone? Time for one more run this year before we meet for Xmas lunch in December and the start of the holiday season and all that it has too offer. 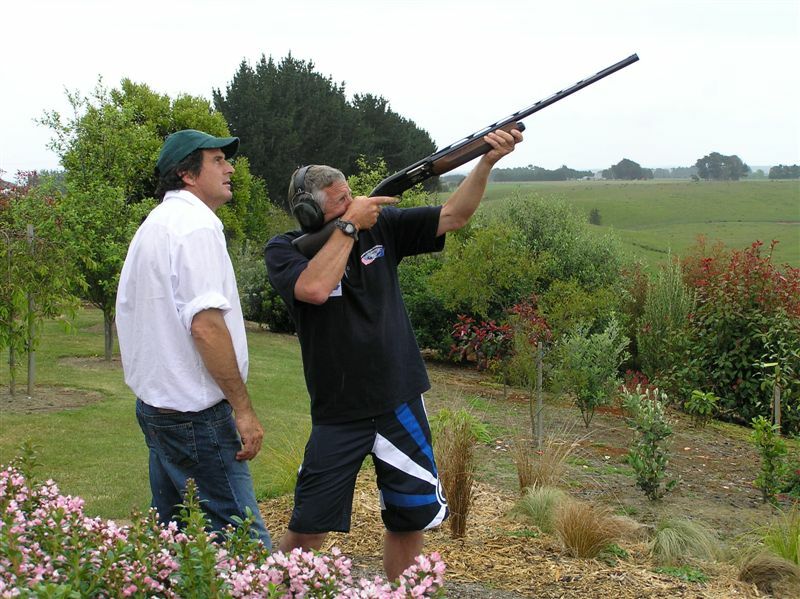 Carterton was the destination of the day and what a fantastic summer’s day it was. Only 16 cars made it out of the garage for the run. However there was a lot of events on around and about, so no doubt for some it was a coin toss to choose which event to attend. 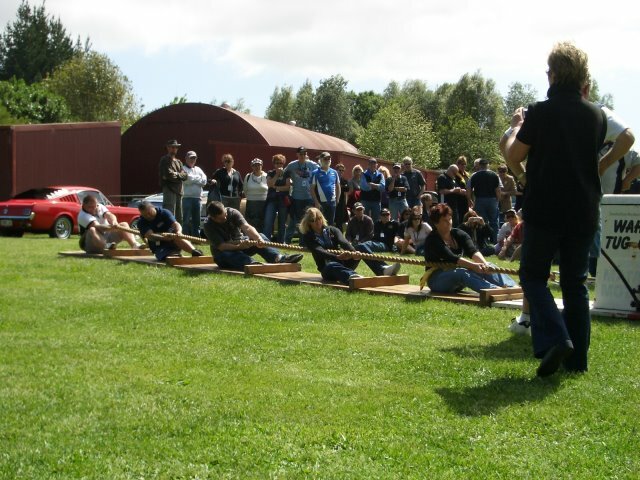 Those who did made their way into Carterton and on to Stonehenge Atari. 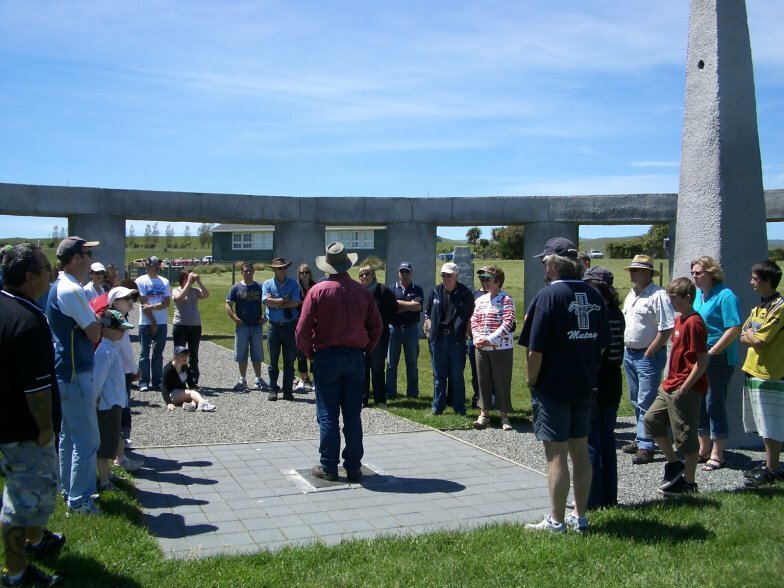 Once there, we were guided into the classroom for part one of our Stonehenge tour, a show and tell of Stonehenge history both within New Zealand and throughout the world (yes, such structures are not just confined to Britain). Once finished inside we ventured out to the Stonehenge Aotearoa structure to continue learning about its history and how it impacts on everyday life. All in all, a very interesting and informative outing and enjoyed by most. 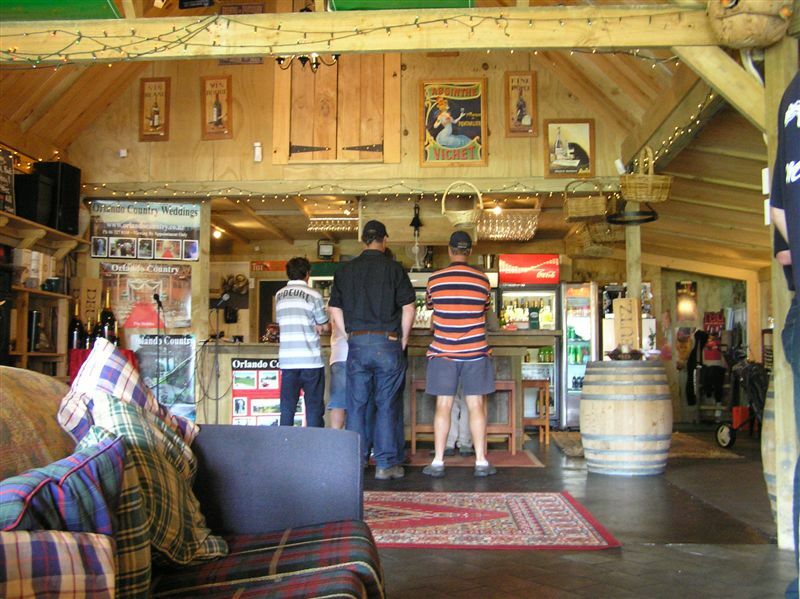 Minds full of interesting facts and stories of past and present, we made our way back into Carterton for lunch at the Buckhorn Bar. 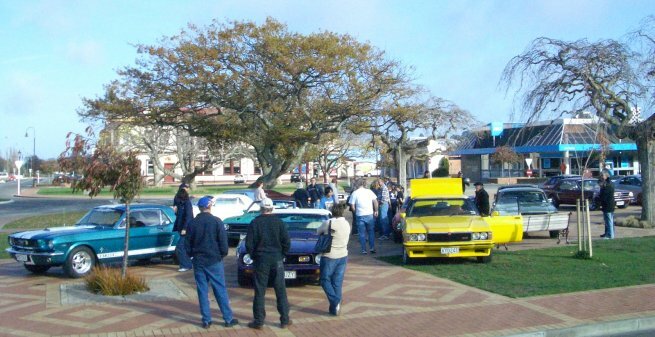 Only a small number of us had registered for Convention this year, and 15 of our cars made the journey to Hamilton. 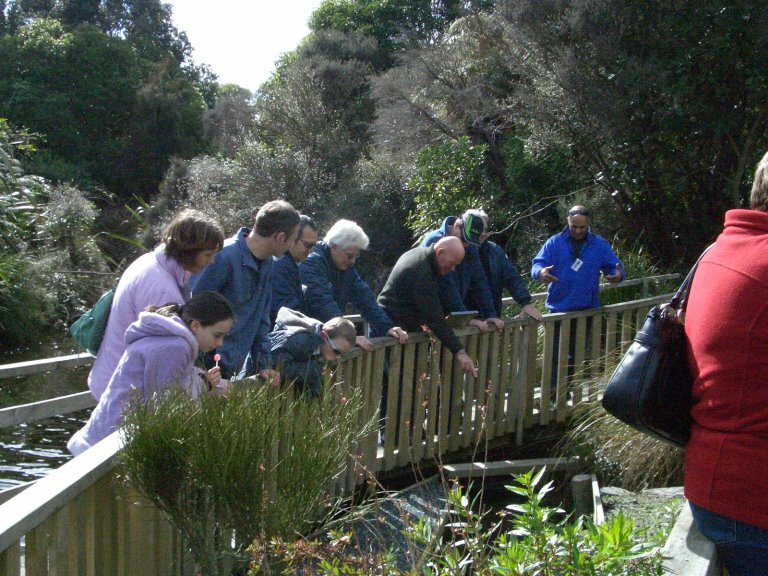 John, Chris, Keith, Charmaine, Dale, Mike, Gregg, Naresh, Elinor, Justin and Jo made an ‘early bird’ choice and took off from Te Horo at 8.30am on the Thursday morning. 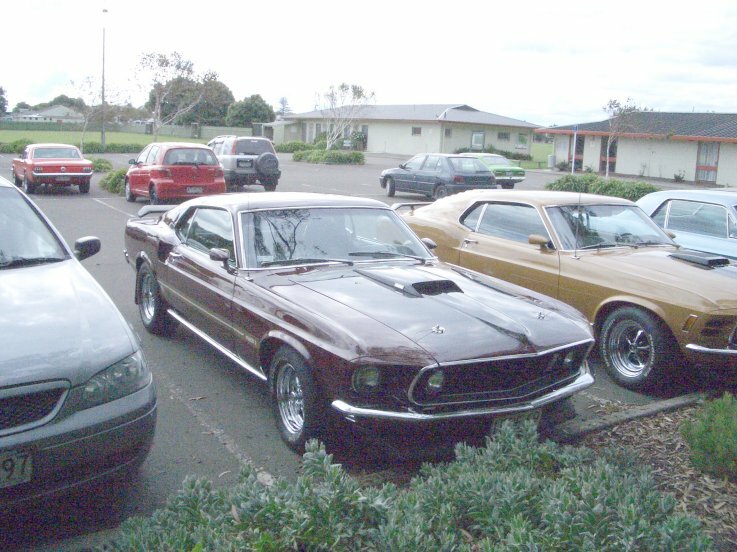 Some might say ‘crazy people’ but despite a bit of rain it was a stress-free run, stopping only for refuelling of both kinds, petrol and coffee with some tucker thrown in for good measure (the usual Mustang stops at Taihape’s Café Exchange and Flax Café in Taumaranui). A group that travels together stays together, or at least we did, all the way, until the very last turn, a few of us missing it and then kinda getting lost. We pulled over to have a discussion about where to go from here when one of us noticed the Kingsgate Hotel just across the road, how could we have missed it? 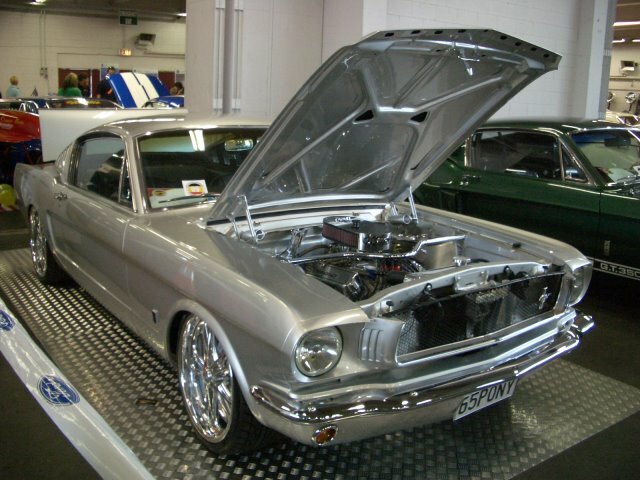 One Mustang stalled at a set of lights and wouldn’t re-start and a chap in a Valiant in the next lane made very rude gestures and statements of the unsympathetic kind. The lights changed, the Valiant roared off right into the back of the truck in front of him that had started then stopped again. 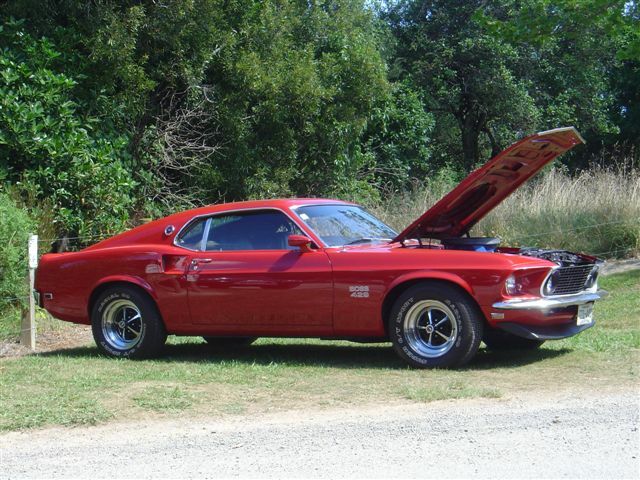 Mustang fired up and left him to clean up his glass and radiator juice. Sometimes justice is very swift. Friday morning and the sun was shining, fantastic…just what car enthusiasts like to see, especially when their cars are filthy, yes we were all just a little bit dirty around the edges after the day before. We all got down to it, cleaning every part of the car we could physically reach, again some of us in positions that a live body shouldn’t really be (Jo). After hours of cleaning we were all pretty satisfied we had done enough for the day and decided it was time to venture out into Hamilton and see the sights. 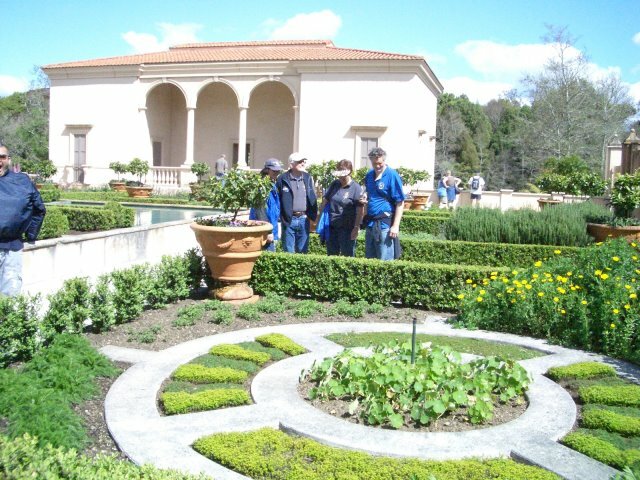 For a complete change of pace Southern members and ourselves went to Hamilton Gardens for a relaxing stroll around in the sun. 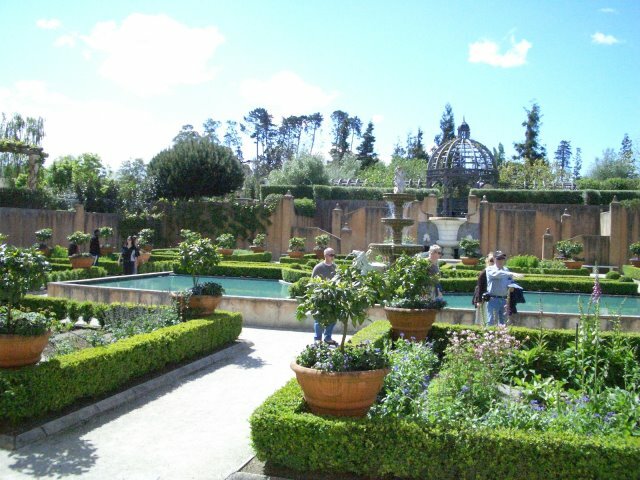 It’s a great place to visit if you’re up in the area; it has a number of themed gardens and is a bit larger than most of us thought it would be. The Lone Star seemed to be the popular choice for the evening; I think just about all who were staying in the Hotel for the Convention ended up there for dinner. A reasonably early night was had by most as SHOW day was to follow. 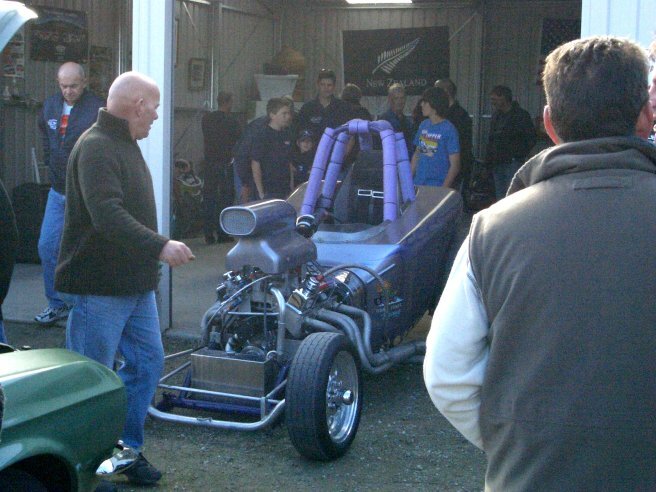 Manawatu got a good time-slot for fronting up at the show and by 7.30am we were rolling. The venue was only about 15 minutes from the Hotel so we made our way there without hiccups, lined up as good Ponies do and waited our turn to enter the hall and do the last minute preparation for the show. 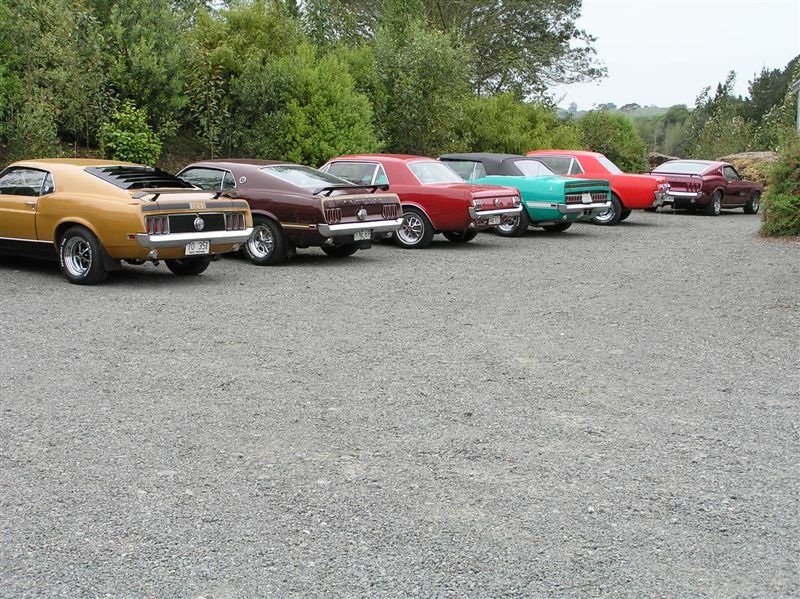 A good looking line-up if I may say so myself. Once the show had opened to the public a few of us jumped aboard a host-provided mini van and made the most of other Hamilton attractions (shops, a market, shops) to return before the show closed. 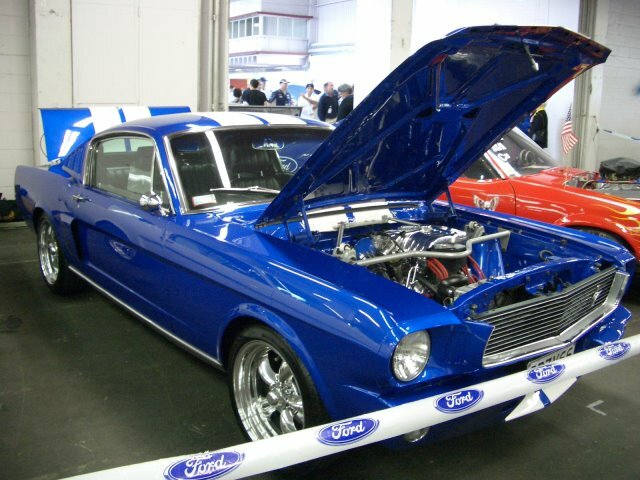 There were some amazing cars on show again this year, as you will see when looking at some of the pictures. Once back at the hotel the pressure was off…time to really relax now. Dinner was laid on for us at the hotel, so the night was spent in the bar by most, there being little interest in the rugby from most of the provinces, we wonder why. 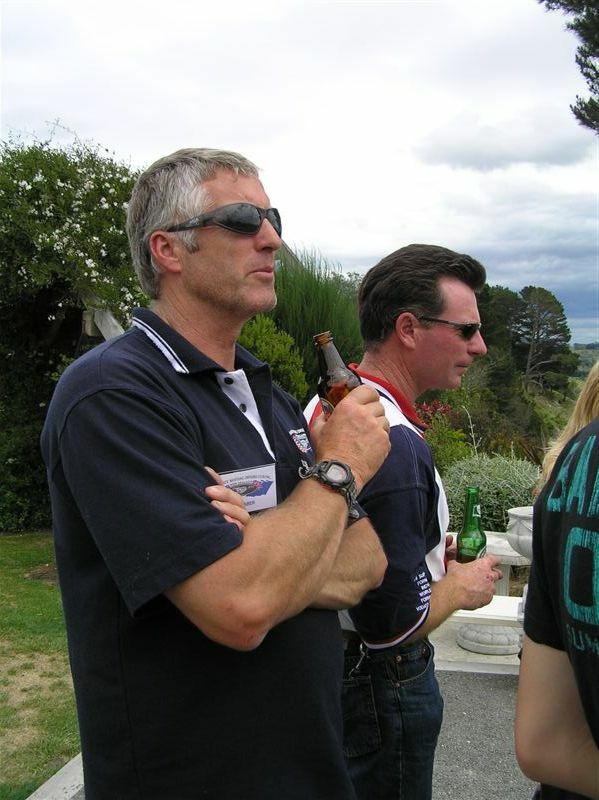 Manawatu took over the pool table early and a few showed where their younger years where spent, whilst the rest of us narrowly avoiding down trou’s, sorry there are no embarrassing stories to tell. 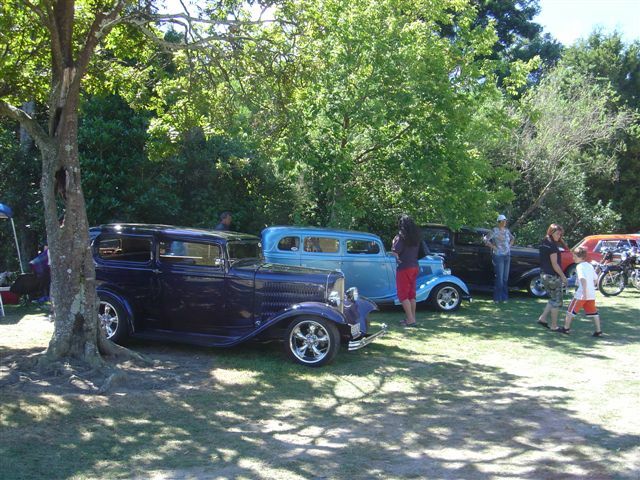 Sunday, cruising day and another fabulous fine day in the Waikato. 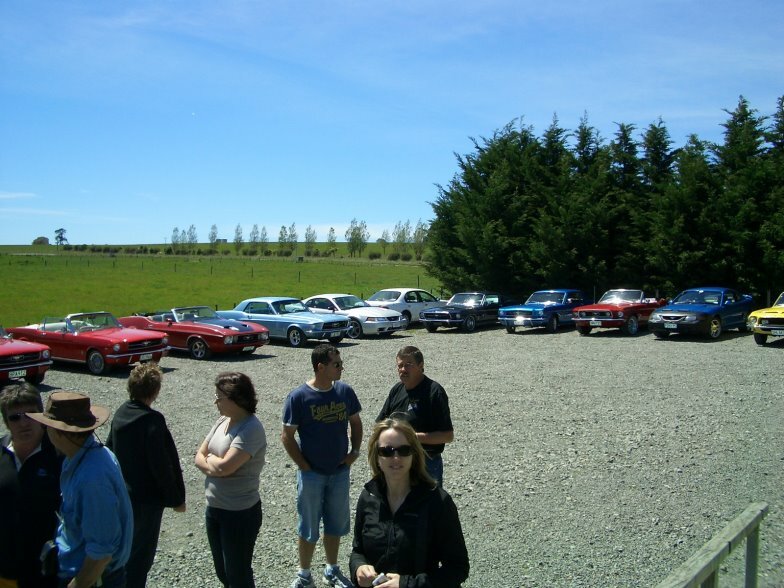 We cruised through the gorgeous Waikato scenery, stopping at Lake Karapiro dam for a breather and loo stop. 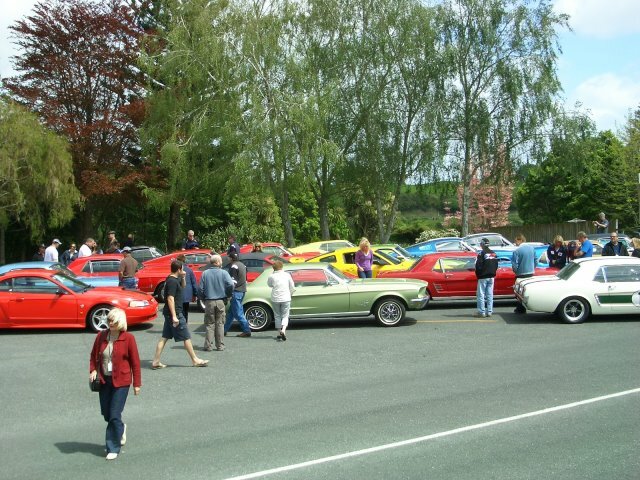 Once all 100+ cars had gathered we set off for the Robinson Sports Museum and lunch. The museum was not what any of us expected, I think. We were handed a questionnaire to complete as we entered and what a wonder that place is, another attraction well worth the visit if you’re in the area. After lunch we gathered back out the front for tug of war games. Waikato had a machine all really and waiting for its victims. We gave it a good shot but just weren’t as strong as the mighty Waikato, who took it out and got to keep the Push’n’Grunt trophy. Back at the hotel and some down time for a couple of hours before we made our way through the hotel to the dinner, dance and prize-giving. The theme was Provinces and this made it a little tricky for us to be uniform, as we cover 3 provinces and 6 teams in the rugby, but we managed by having special t-shirts made that listed the regions down the back. Dinner was great, the company was fantastic and of course then there were the prizes and I think all but two of us that registered for judging took away a prize. The weekend was almost over, some of us a little worn out and ready to go home and some of us still riding on the excitement of the whole weekend. 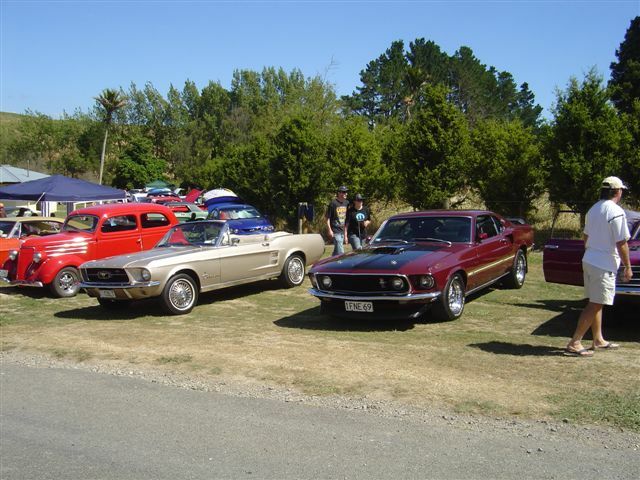 Three dozen MMOCers from Wellington, Horowhenua, Palmy and Feilding converged on Levin on Sunday 23 September for a good look over Tararua Rodders’ Chrome’n’Custom Auto Festival. 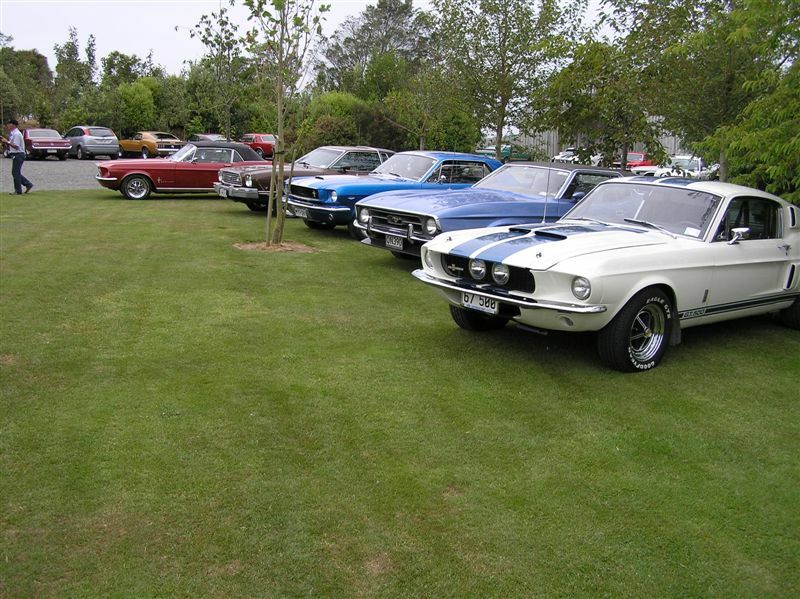 We filled up the front carpark (which had kindly been set aside for us) in a very picturesque manner and proceeded to be blown away by the variety and quality – and age – of vehicles on display. 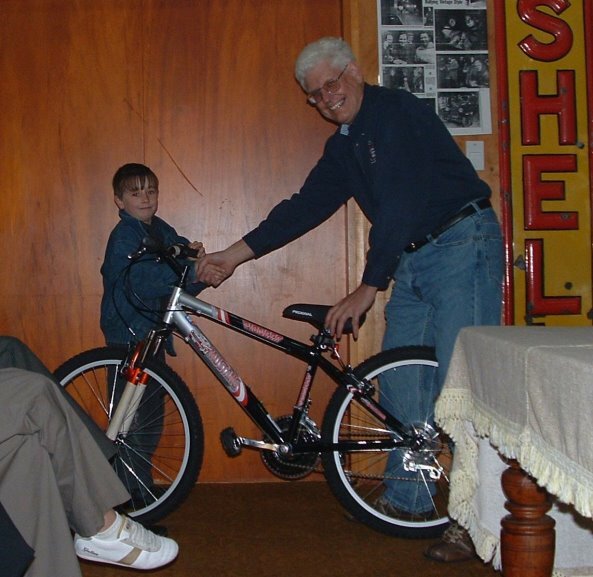 From a Dale Earnhardt tribute Camaro at the front door to a ‘70s leopard-skin paint Honda motobike in the next hall, there was much of interest. 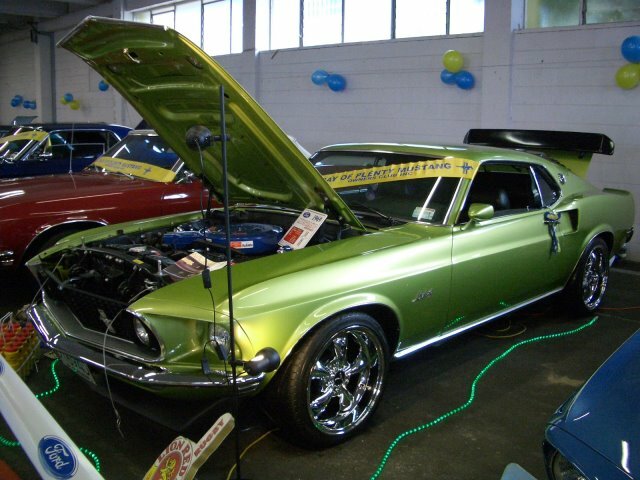 One aspect missing in many car shows is the race car. Not here; there were drag cars of all types, a huge speedway display that included the current champion Super Saloon, racing bikes and even a racing Mustang. 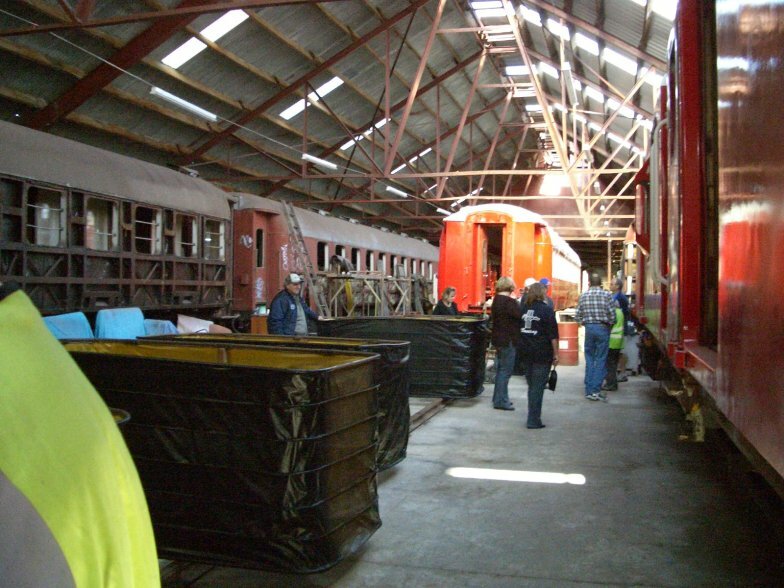 There were unrestored oldsters, works-in-progress and immaculate restorations. 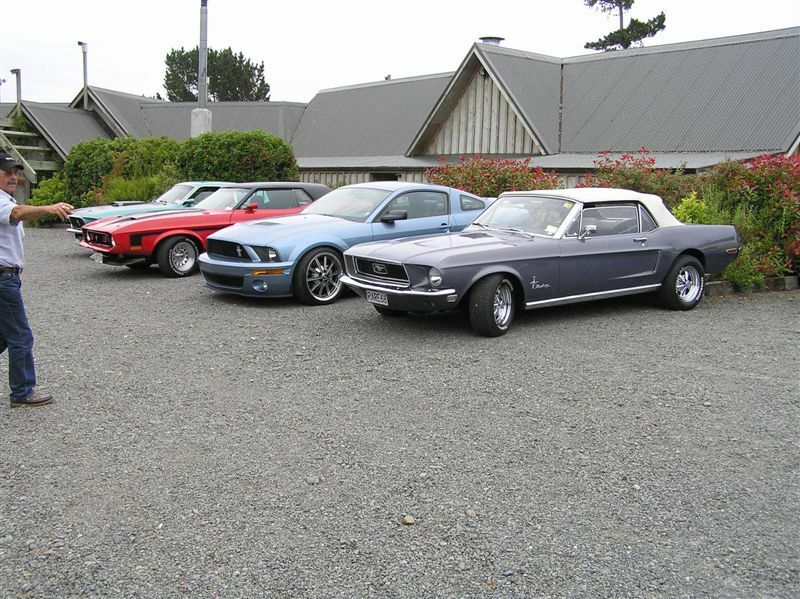 It isn’t really fair to try and pick the best ‘resto’ because these days the standard of most is dauntingly high, but we were much taken with a fawn Holden Premier and a most delectable ‘black cherry’ ’67 Mustang convertible. 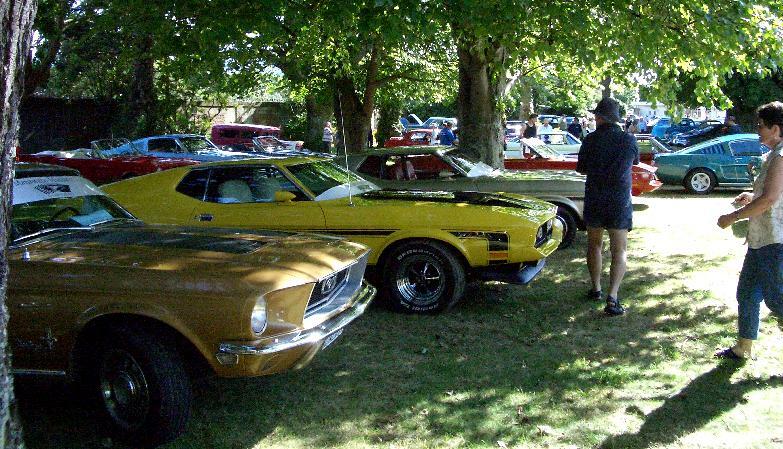 There were huge cars, small cars (including a street-legal Vauxhall Viva that had an engine almost bigger than its body), and even a Hillman Hunter looking uncomfortable amid all the muscly V8s. The paddock car park was almost as interesting and it took just about as long to wander up and down the all-sorts parked up there. Around noon we set off down the road to Murrayfield Clydesdales, where we enjoyed good food, promptly served, in a peaceful rural setting, complete with horses in paddocks. 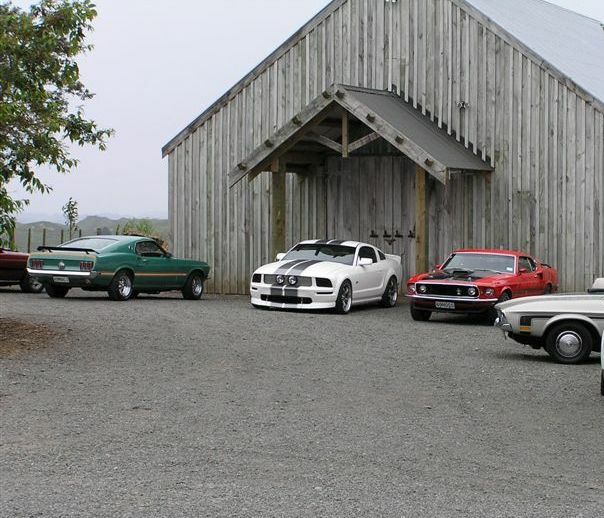 Horses that, unlike our cars, could in no way be described as “ponies”. Even viewed from a distance, a Clydesdale is a big deal. The meeting didn’t take long, though it took some time for the Deputy Sheriff to collect all the fines from people not wearing names tags (all of us except aforementioned Deputy Dawg) and we all managed to get home before the southerly front arrived, a bonus on an excellent day out. Who knew? Not me - that there was such a place just a hop, skip and jump away. 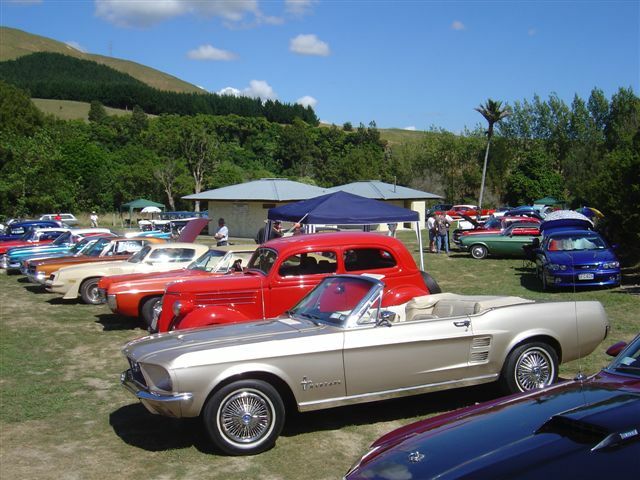 22 Mustangs made their way north or south to meet at Nga Manu Nature Reserve in Waikanae, and spent a couple of hours strolling through the lovely park-like grounds and bird enclosures. 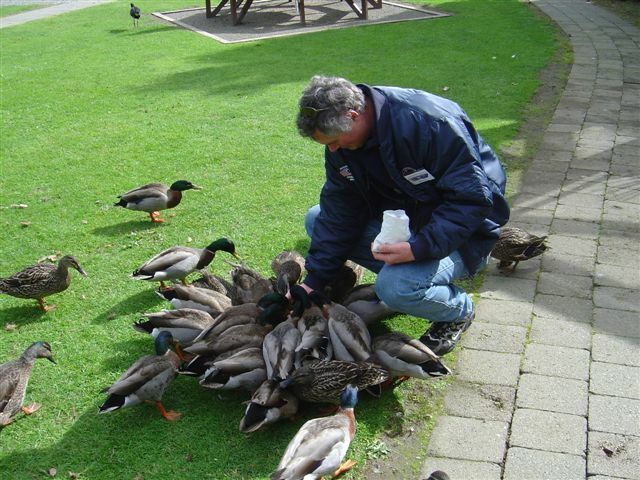 It’s always nice to get out in the fresh air at this time of the year. The weather gods were on our side on this day and it was a fabulous and sunny, at times perhaps a little fresh out of the sun, but all good. After feeding ducks, looking and mingling with the birds, walking the grounds, oh and of course looking at fantastic cars in the car park, including Wal Marshalls new 428 Mach 1 Cobra Jet R code on its first outing, and a brand new 07 Shelby GT500 (see pic below) , it was time to head off to our lunch stop. 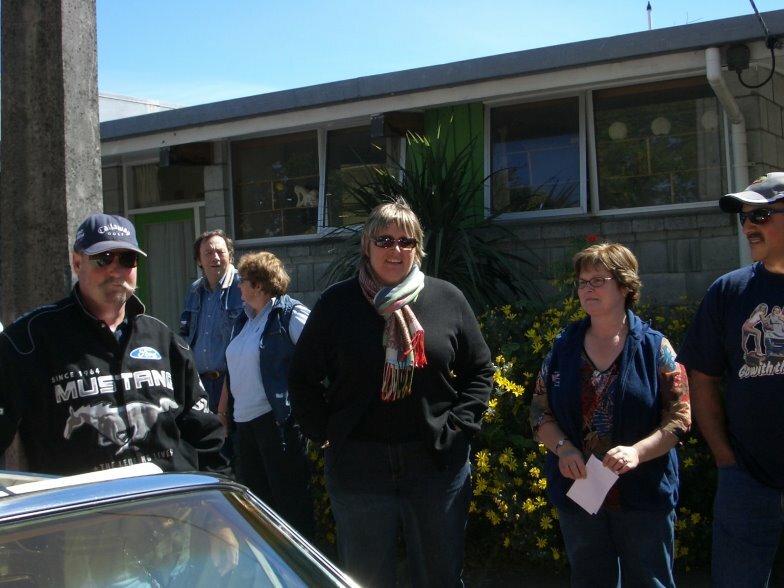 A TV crew from Taurarua TV followed the progress of the cars and took several interviews with members. We have been promised a copy of the programme when its finished.. should be interesting viewing!. 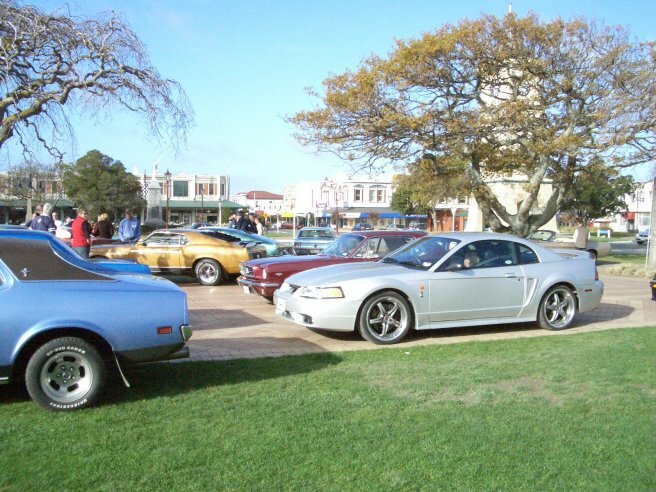 We made our way in convoy (what a sight, fantastic) up to Waikanae’s Murphy’s Hotel for lunch and a sit down together. All in all, a good Sunday out if I may say so. Those fine days just keep coming, and boy do we prefer seeing clear skies when pulling our pride’n’joys out of the garage, although in saying that a few of us ended up going home in the pouring rain, such is life. Anyway, it was the AGM and a brave number of people came along, I say brave as it was one of those AGM’s where all the official people were being replaced and no one was allowed out until it was all done. After some lengthy periods and a lot of no's from those nominated, the room began to fill with smoke from the fireplace and the President made it clear that we weren’t moving until the job was done and the positions were filled. The challenge was taken up and the club now has some new people at the helm. 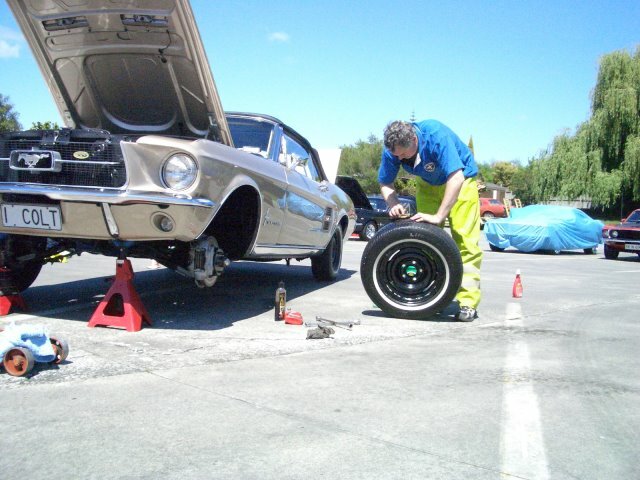 Onto lighter things, like cars, prizes and lunch! The car selection in the car park once again was fabulous, a couple of new additions for everyone to gander at and talk about. Lunch as always was tasty and goes down well. And prizes, the best part of the afternoon, lots of Convention mugs and polos were given away during the course of the meeting and there were quite a few raffle prizes, the best of all being the Mustang Mountain Bike which was won by Aiden Elliott, the bike just a little big but he’ll grow into it before too long. The annual trophies where handed out to those most deserving; the Gene Thomas Memorial Trophy for attendance and presentation won by Charmaine Scott and Keith Robinson. The Editor’s Cup won by Jo Ferris for website and magazine efforts through the year. Sheriff’s Award was won by Justin Carroll - now this award isn’t one the winner should be proud of but Justin won this award for his oh so trusting nature…. To cut a long story short, he left the keys in the ignition and the car parked in one of the car park exits after the Convention show last October and this wasn’t realized until the next morning when he needed to move the car for those wanting to get out of the carpark. 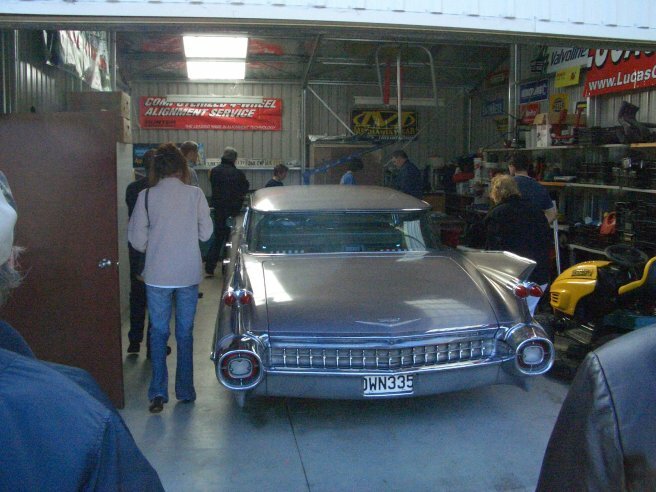 After the meeting everyone was invited to visit Tony Thake’s custom car building operation to take a good wander around the amazing garage and barn spaces. 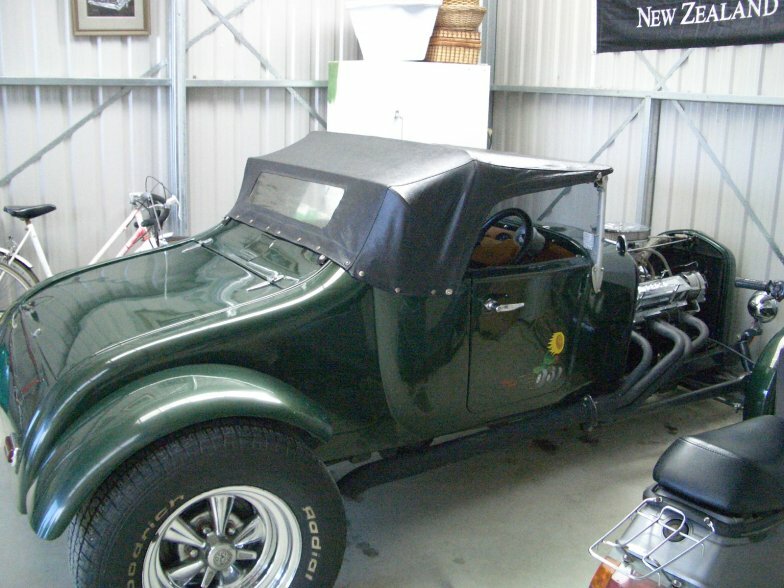 A three-stall garage, two for working on cars, and one devoted to an automotive shrine, with a jukebox and a number of old arcade games - a fun place to work. And then there’s the barns with some rare sights to see, that’s for sure. 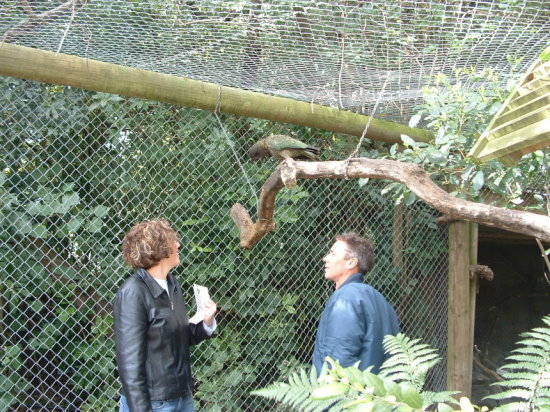 A big thanks to Tony for allowing our group to wonder through the property. A day of looking in other people’s sheds, big and small. 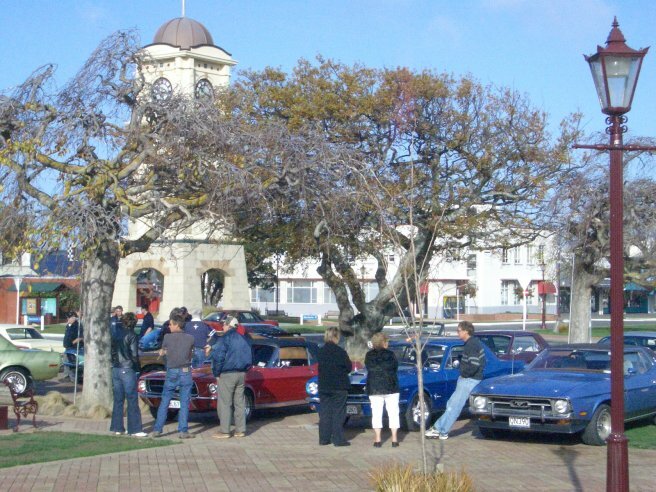 About 30 vehicles parked up in Feilding’s Square before making our way just up the road to one man’s shed that contains some serious horse power, with just a little hint of flower power and you’ll understand what I mean if you look closely at what we saw. 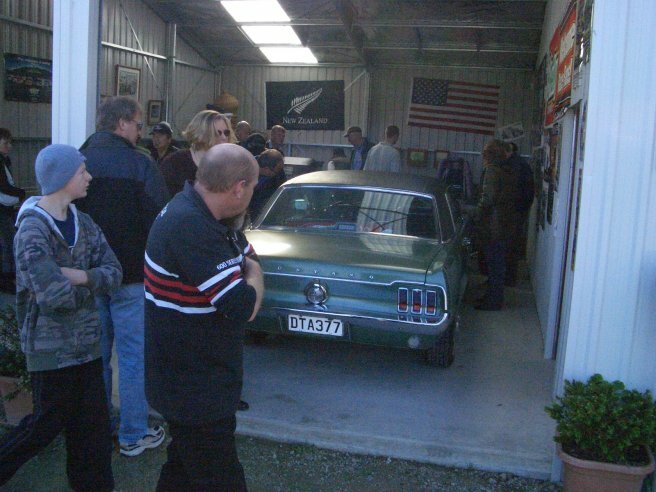 A shed that shows no bias to any one make of vehicle, be it for the street or track and a man that so kindly took the time to tell us all about what we were looking at and answer any questions we had. 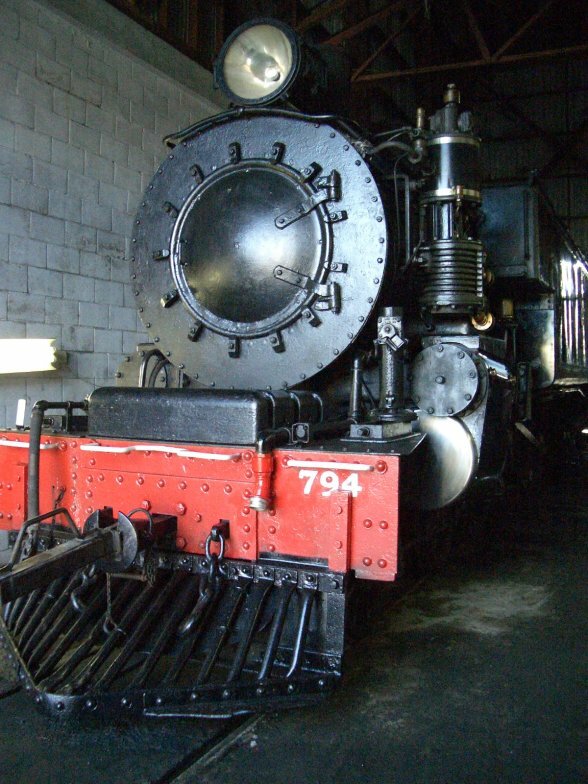 After taking in those sights and sounds we made our way back to the square, parked up and went for a spot of lunch before venturing out again, this time to look in some rather large sheds full of steam trains and the like. A big thanks to all of those who shared their Sunday with us, taking the time to show and tell us about what they enjoyed playing with. 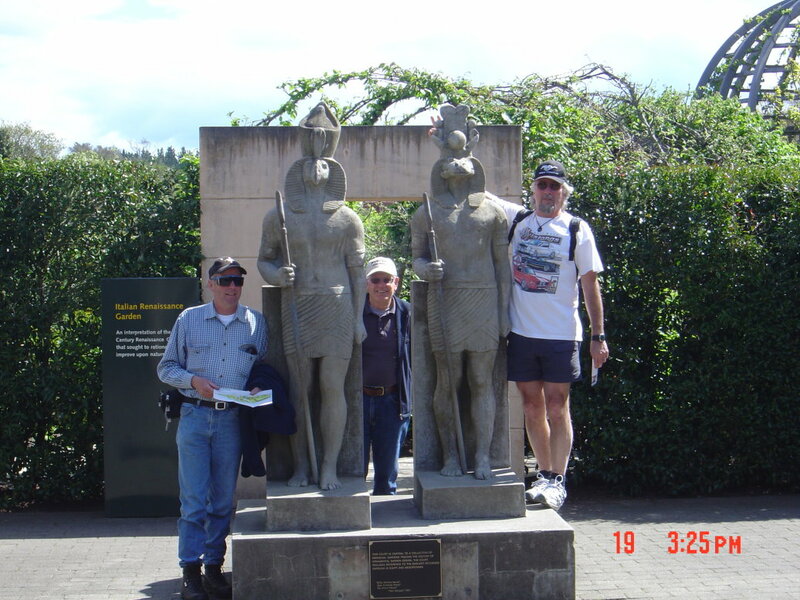 As we had a number of Convention Cruise booklets left over from last October, why not use them and go on a cruise around the Manawatu? 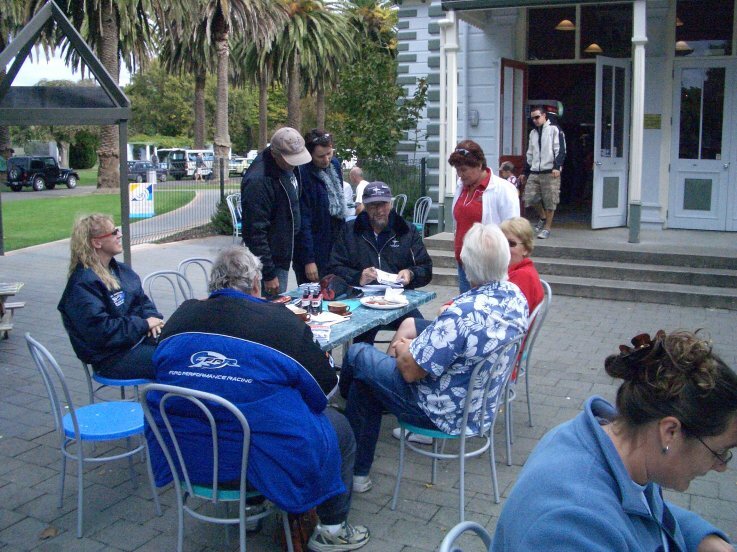 We met up at the Esplanade Café in Palmerston North, our starting point. 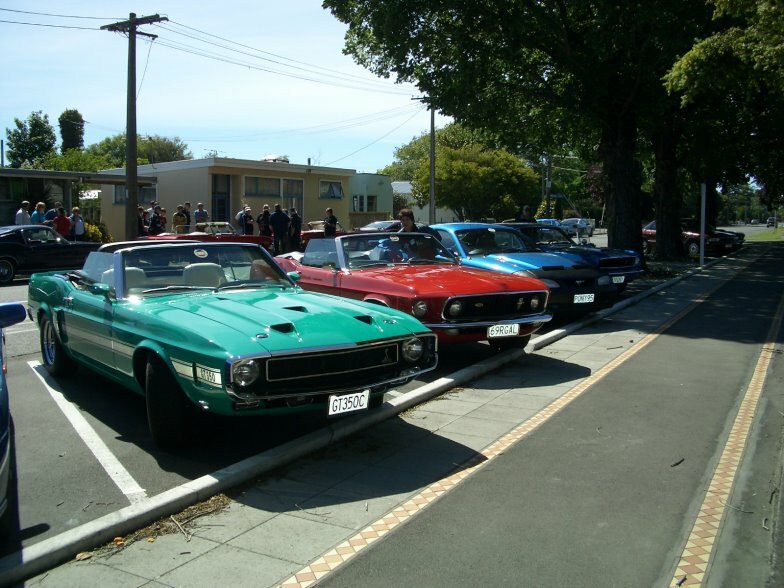 Fuelled up on coffee, the group set out and navigated their way around the greater Palmy area and this time it was a run in the sun, unlike in October, when the Convention group navigated their way through torrential rain to complete the Quest. Not too much cheating was involved this time, as those who had done it before came in close to the rear of the bunch. We had some very colourful answers to some of the questions as well and no search parties were required. Once all had returned we enjoyed lunch out in the sun and a quick meeting to end the day. 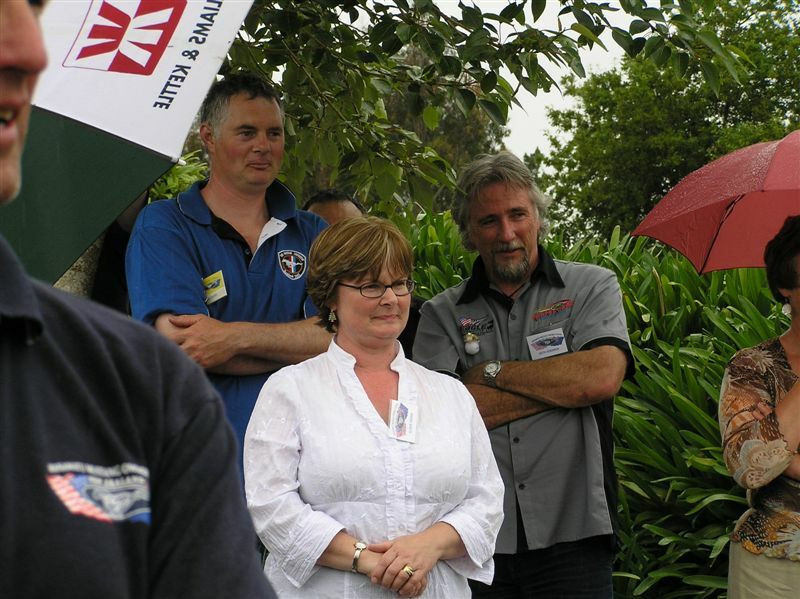 Finally an official event for MMOC and although not too many attended the day a hugely fun time had by those that did. Only about 10 cars made their way out of garages on this morning and I really can’t blame those that decided to stay indoors as the weather gods were having one of those days and it was rather wet, but as I mentioned a few dedicated members pulled their babies out anyway and were rewarded for it in the end as the weather cleared and the sun even came out to play. 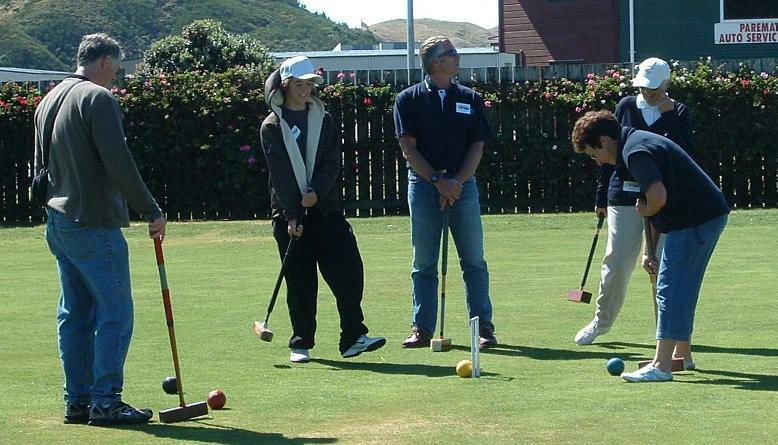 The Plimmerton Croquet Club members that assisted us where fantastic, providing a lovely lunch and helping us to understand the game we played and have a fun day out doing something most of us have never done before. The hosts seemed surprised at how competitive some of us were, but the game was right down our alley – deviousness and even outright nasty moves gave you the best chance of winning, but on the positive side, it’s a lot about teamwork too. A big thanks to the Croquet Club for being friendly and patient hosts. Another non-official club outing! There’s always a lot on after Xmas and it is hard to attend them all but we do our best. 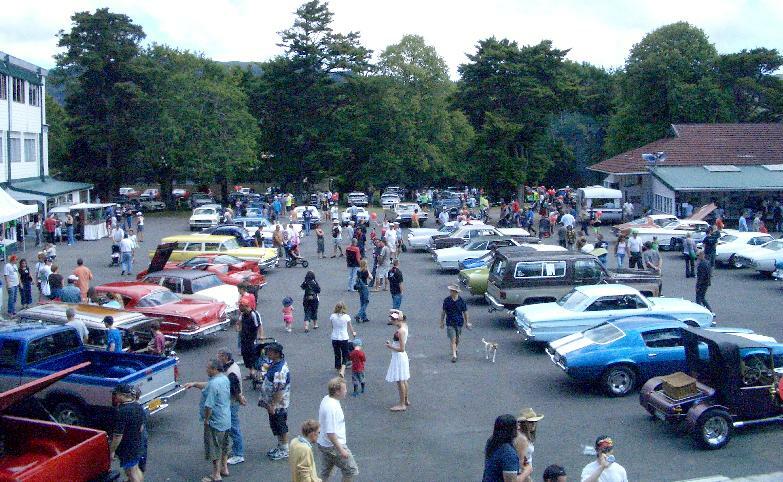 Only a small handful of us made our way up the line to participate in this event, and glad too as another fabulous summer’s day for cruising the Island. 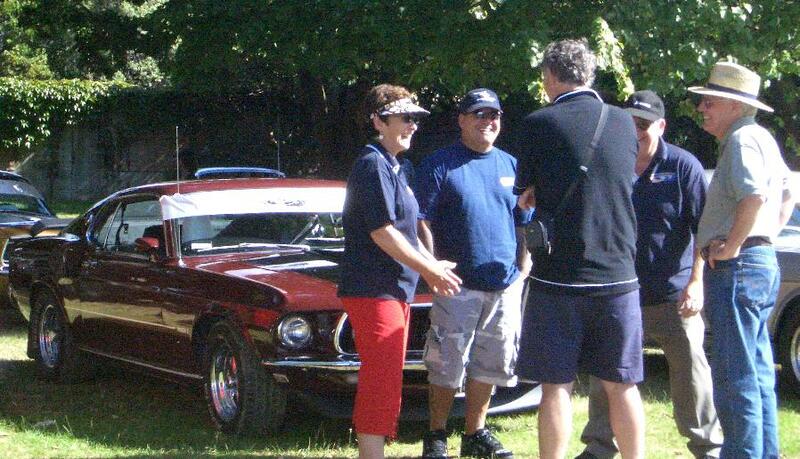 The Sopranos hosted a great event with a good number of fine vehicles to look at. Again not an official club outing but a fantastic day to be out in fine form. 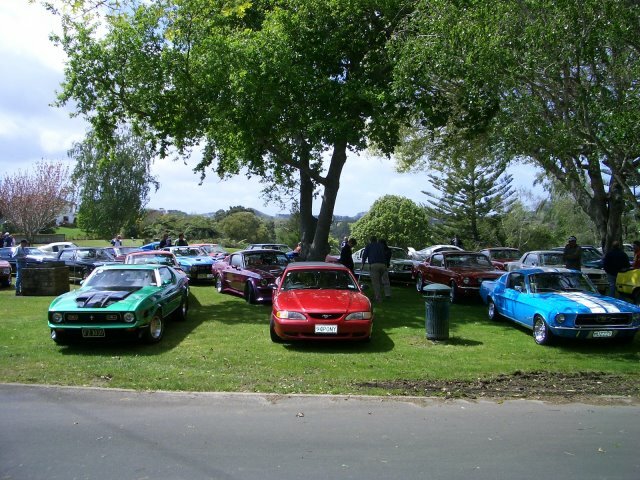 As usual a good number of us made it to Trentham for the annual event and this year a warm day was on offer. 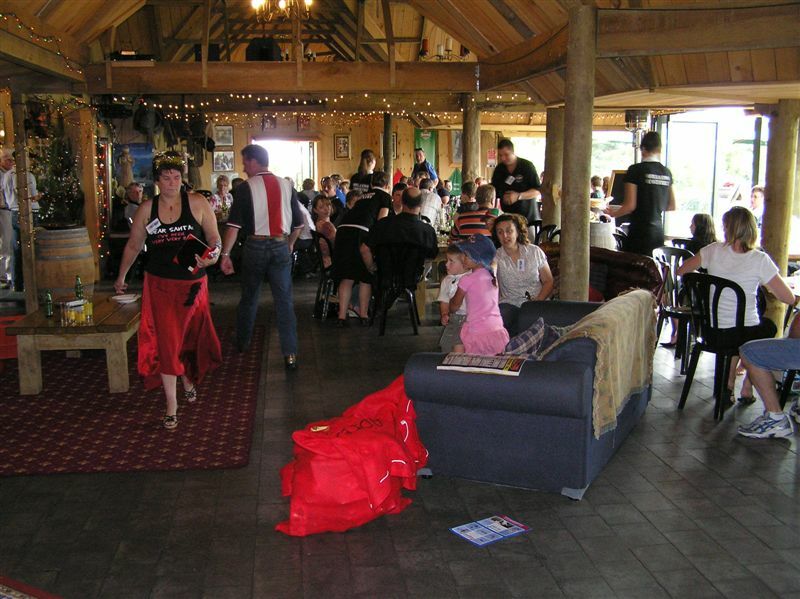 Just as they did last year the Moonshine club hosted another fantastic event with something for everyone. 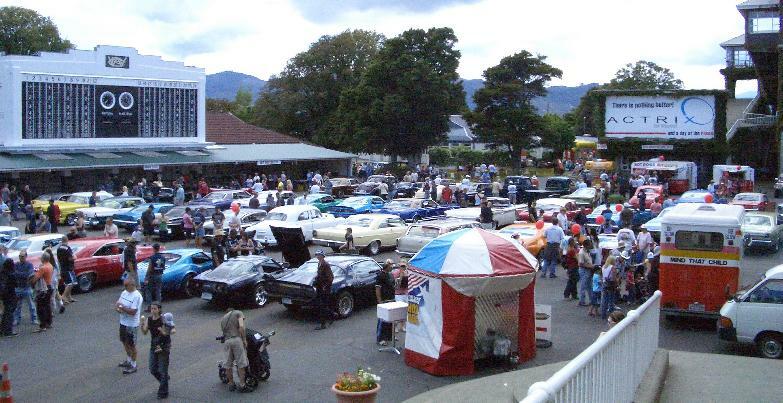 A great variety of cars you just don’t see in one place and loads of other things like stalls, very loud drag cars, a band, and of course the lawnmower races. 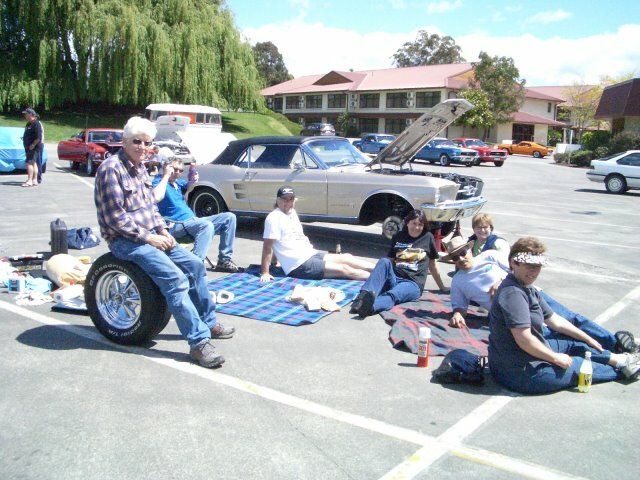 This year I also noticed there were helicopter rides which seemed to be very popular and then there was the Chevy collection, they were having their 50th anniversary convention over in the Wairarapa and ventured over for the day.